When you think of great Light Heavyweight wrestlers from England, the Dynamite Kid is usually the first one thought of. Prior to the former member of the British Bulldogs, the best Light Heavyweight wrestler from the United Kingdom was Mark “Rollerball” Rocco, who was not only talented but was a decent draw in his native country. His best work (as was the case for many in his weight class) was in Japan as the masked “Black Tiger” where his matches with the legendary Tiger Mask are still considered classics today. With a brief stint the WWF competing for the Junior Heavyweight title, he is not completely anonymous to the folks in Stamford, but we doubt that the talented Brit is on their radar for the Hall. Should Mark Rollerball Rocko be in the Hall of Fame? Why they will get in: As mentioned with others….could a pure British star get in? Why they won't get in: If that does happen, it won’t be him. 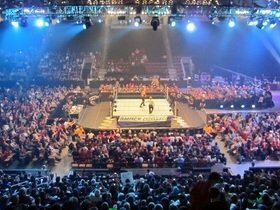 Buy your Tickets to see WWE at Stockton Arena in Stockton, CA HERE for as little as $49! 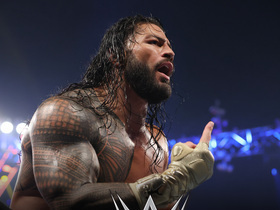 Buy your Tickets to see WWE Live at Reno Events Center in Reno, NV HERE for as little as $52! Buy your Tickets to see WWE Live at Maverik Center in West Valley City, UT HERE for as little as $63! When I remember all the wrestling stars of my chikdhood in the seventies and eighties, it's Mark Rocco who comes to mind first. Fast as a cat and hard as nails, his matches with Marty Jones were unsurpassed. Of course he played the villain, but won respect everywhere for his skills and toughness. If he's not in the Hall of Fame, you might as well tear it down. IMO the single greatest wrestler ever anywhere in the World.